Looking for a distinctive overhead door? At PK Garage Door Co. LLC, we have the one to fit your specific needs. In the garage door industry for over 30 years, we know all their ins and outs. What sets us apart from our competition? Our personalized customer service! For us, every customer is unique, just like their needs. 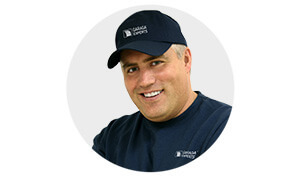 Because we work exclusively with top quality products, we carry Garaga as our garage door line. This garage door manufacturer is renowned for building the most energy-efficient systems. Whether for a rustic or a modern model, Garaga’s vast collection meets any customer’s needs. Visit our image gallery to discover over 130 different looks! We are ready to bring our showroom to your home or place of business to help you choose a door. Our specialists can give you friendly, knowledgeable advice with your garage door project, and then be there from the selection through the installation. At any time, feel free to complete our online quotation form. Your garage door is the largest moving object in your home. This is why your door opener has to be as carefully chosen as your garage door. At PK, we’ll guide you in selecting the appropriate model based on your overhead door to make your door opener system perform optimally. We carry the LiftMaster brand, the undisputed leader in the industry. LiftMaster’s reliability and powerful motors contribute to the success of all our installations. Manufactured by Chamberlain, this product is built by prioritizing safety at each design step. They use only top-quality material to make their powerful motors. To learn more about specific features, visit our opener section. They can be installed for residential, commercial and industrial applications. At PK Garage Door Co. LLC, we firmly believe that an installation properly done is the key to a top-performing garage door system. Well-experienced, we understand and follow the highest safety standards in the industry. In addition, Garaga has certified our company as one of their Garaga Expert dealers, which means we meet their strict criteria for technical expertise and professionalism. Does your garage door need any repair? If it does, give us a call now or Schedule a service call online. We can quickly get to your home or place of business to fix or replace it. We repair any brand, such as Clopay, C.H.I. Overhead Doors, and Renner. Our family-owned and operated business serves Derry and the surrounding towns of Manchester, Londonderry, Nashua, Salem and Andover. We also cover Middlesex County in northern Massachusetts. Don’t wait any longer and give us a call at 603-432-0114. We look forward to serving you soon! Londonderry, Manchester, Windham, Southern New Hampshire and Northeast Massachusetts.